Nikolay Epplee is an independent researcher working on international memorial culture and on memory of Soviet state terror. He published extensively on memory issues in Vedomosti, InLiberty, Colta, and other Russian media. 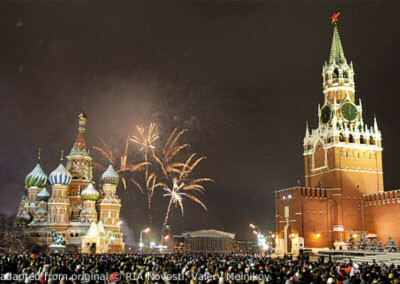 Among the traditions of the New Year’s Eve day family celebration-besides the champagne toasts, accompanied by the Kremlin clock chimes marking the start of the holiday and the traditional Olivier salad-is watching together a set of classic Soviet movies. Stories of love and heroism dominate, their characters held up as models for the new society. Some years ago, however, discussions on Russian social media began openly criticizing the content of such films. Many viewers were surprised to learn that the timeless characters familiar from their childhood were in fact the product of Soviet realism, that the portrayals of love and heroism bore obvious indicia of codependency, oppression, infantilism, and sexism in human relations. The Soviet cultural canon, once close and familiar, began to be perceived as distant, no longer part of a viewer’s own life, and therefore accessible for criticism. “Soviet princes turned out to be complete frogs, and the entirety of the good old life suddenly appeared to be not good at all but poor, cramped and onerous,” Yekaterina Schulmann, a renowned political commentator, wrote at the time. Time moves on, and, though it sometimes seems to go backward in Russia, this year the leaf appears to have turned over once more. People in their thirties who had previously diligently kept their distance from the traditional New Year’s customs now write on their social media pages that they’ve watched “The Irony of Fate” by Eldar Ryazanov (the Soviet analogue of Frank Capra’s “It’s a Wonderful Life”) for the first time with their parents or had their first bite of Olivier salad-and liked it!